Born in Mandya district in Karnataka, Major General B.S Nealakantappa completed his primary education in Mandya and later his B.E , F.I.E and Chartered Engineering. He served in various positions in the Indian Army for over 35 years. He was a part of the 1965 and 1971 Indo-Pak war and instrumental in protecting the Indian borders of Kutar and Poonaw. He also served in corporations such as Runto Projects and Lemon Cements Ltd.
SaswathiBelliyappa is an urban and requirement planner. She completed her Post Graduation from CEPT, Ahmedabad and is currently pursuing her Ph.D.
She has over 20 years experience in the development and planning sector. 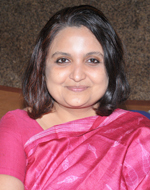 She is a consultant on policy analysis and urban infrastructure with the U.N Habitat, World Bank and Asian Development Bank on projects across South Asia. She is a trustee of the SamvadFoundation which works in the fields of spectrum and hearing disorders and stroke rehabilitation. 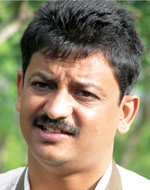 Sanjay Gubbi servers as a panther’s and tiger’s Conservation Coordinator in Karnataka. He holds Masters Degree in conservation biology from the University of Kent. He has saved over a 100 tigers in the indian terrain. 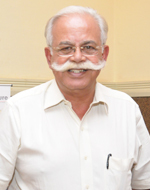 Sanjay chairs the State Wildlife advisory board, State Tiger Conservation Steering Committee and Governing Council of Tiger Foundation of Karnataka State. 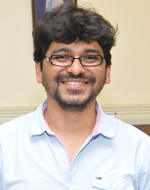 Pawan Kumar is well-known as one the most creative directors in the Kannada film industry. He has directed several short films and acted in many. 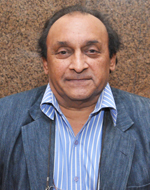 He directed Lifeuishtene and Lucia, written the screenplay for pancharangi and manasare, two iconic kannada movies. He is instrumental in forming the English theater called Act or Productions. He has produced and played 70 public shows and conducted theatre work shops for corporations, colleges and schools . He was awarded the young creative entreapreuneraward,Young performing arts entrepreneur award by British council. He was adjudged Best Creative Director in Oasis India Talent Campus Award. Lately, he won the Best film Audience Choice for Lucia. 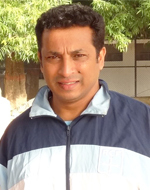 Jude Sebastian is an international hockey player and played for India from 1983 to 1995. He started playing hockey at the age of 9 and went to play for the Indian Hockey team at the Olympics, World Cup, Asian Games and other international tournaments. Jude is an Arjuna Awardee and was rated as one of the seven best players of the world in 1995 by FIH. He has been a part of hockey in Singapore, teaching and playing for the best clubs. He now runs the Jude Felix Hockey Academy. 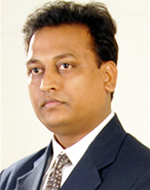 DrJagdeesh is a psychaitrist at the Abaya Hospital and rehabilitation center. He is the founder of Abaya di alcoholic center and the abaya Institutes. He was until 2001 a Professor and HOD of dept of psychaitry at K.I.M.S. 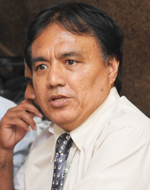 He has authored several journals on psychiatry in medical journals. Was a CEO at nsl textiles and apparel,Director at RPG groups school called imikolkata, CEO at avindmills,parryware,asianpaints,bertun paints He has BE from Suratkal and is an alumnus of IIM(A). Accredited CXO coach and mentor International Business, Founder gameplan Consultancy. 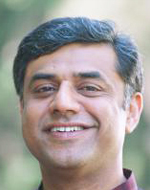 Mentor advisor at Entersoftinformation Systems and Security Pvt Ltd.
Rajeev Gowda is a Professor at IIM(B) and now is also spokesperson for the Indian National Congress. He also serves as Director at RBI and GIC of India. He is also consultant for GoK and PriceWaterCoopers. He is a Gold medallist from the Bangalore University, he is fellowship from fordham and Pennsylvanian Universities. He earned his PhD from Wharton School, University of Pennsylvania in Public policy and Management. He has been teaching in several schools across the world such as the Oklahoma Business school, Centre for Jurisprudence and social policy. He authored and edited several books on Public policy and Democracy. He is a regular columnist in many news papers. Kaiser Dopaishi in his capacity as the President of South Asia IB Schools Association has mentored many national and international schools. 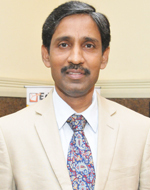 He served as Vice Principal – Kodaikanal International School for 10 years and as Principal of the Singapore International School. Well, it is my honour to introduce the most inspiring person I have met in the recent past. MalathiHolla is an International Para Athlete and a Padmashri and Arjun Awardee. As a child she was affected with virula fever and with treatment only her upper body regained strength. Bed ridden for 15 years and after 32 surgeries, she worked around sports to motivate herself and win more than 300 awards in international competitions. 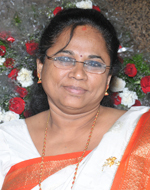 She is a Chief Manager at the Syndicate Bank and runs her NGO Mathru which looks after children with disabilities. She is a regular motivational speaker at many corporations.